This article is about the royal title. For the musician, see Prince (musician). For other uses, see Prince (disambiguation). The Latin word prīnceps (older Latin *prīsmo-kaps, literally "the one who takes the first [place/position]"), became the usual title of the informal leader of the Roman senate some centuries before the transition to empire, the princeps senatus . The princeps senatus was the first member by precedence of the Roman Senate. 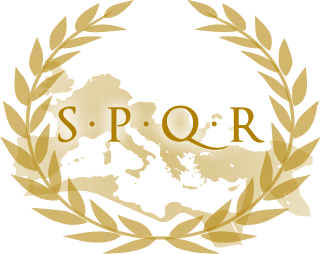 Although officially out of the cursus honorum and owning no imperium, this office brought conferred prestige on the senator holding it. Emperor Augustus established the formal position of monarch on the basis of principate , not dominion . He also tasked his grandsons as summer rulers of the city when most of the government were on holiday in the country or attending religious rituals, and, for that task, granted them the title of princeps. 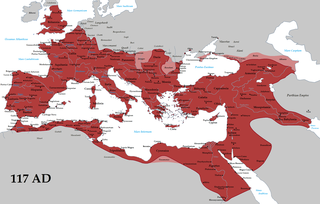 The Principate is the name sometimes given to the first period of the Roman Empire from the beginning of the reign of Augustus in 27 BC to the end of the Crisis of the Third Century in 284 AD, after which it evolved into the so-called Dominate. 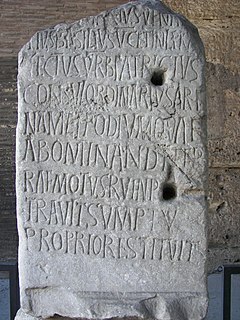 The Dominate or late Roman Empire is the name sometimes given to the "despotic" later phase of imperial government, following the earlier period known as the "Principate", in the ancient Roman Empire. This phase is more often called the Tetrarchy at least until 313 when the empire was reunited. generically, cadets of some non-sovereign families whose head bears the non-dynastic title of prince (or, less commonly, duke) were sometimes also authorized to use the princely title, e.g. von Carolath-Beuthen, de Broglie, Demidoff di San Donato, Lieven, de Merode, Pignatelli, Radziwill, von Wrede, Yussopov, etc. A monarchy is a form of government in which a group, generally a group of people comprising a dynasty, embodies the country's national identity and its head, the monarch, exercises the role of sovereign. The power of the monarch may vary from purely symbolic, to partial and restricted, to completely autocratic. In most cases the monarch's position is inherited and lasts until death or abdication. In contrast, elective monarchies require the monarch to be elected. Both types have further variations as there are widely divergent structures and traditions defining monarchy. For example, in some elected monarchies family history is the only criterion for eligibility to be monarch, whereas many hereditary monarchies impose requirements regarding the religion, age, gender, or mental capacity. Occasionally this can result in more than one rival claimants, whose legitimacy is subject to election. There have been cases where the term of a monarch's reign either is fixed in years or continues until certain conditions are satisfied: an invasion being repulsed, for instance. Allodial title constitutes ownership of real property that is independent of any superior landlord. Allodial title is related to the concept of land held "in allodium", or land ownership by occupancy and defense of the land. Historically, much of land was uninhabited and could, therefore, be held "in allodium". In parts of the Holy Roman Empire in which primogeniture did not prevail (e.g., Germany), all legitimate agnates had an equal right to the family's hereditary titles. While this meant that offices, such as emperor, king, and elector could only be legally occupied by one dynast at a time, holders of such other titles as duke, margrave, landgrave, count palatine, and prince could only differentiate themselves by adding the name of their appanage to the family's original title. Not only did this tend to proliferate unwieldy titles (e.g. Princess Katherine of Anhalt-Zerbst, or Karl, Count Palatine of Zweibrücken-Neukastell-Kleeburg, or Prince Christian Charles of Schleswig-Holstein-Sonderburg-Plön-Norburg), but as agnatic primogeniture gradually became the norm in the Holy Roman Empire by the end of the 18th century, another means of distinguishing the monarch from other members of his dynasty became necessary. Gradual substitution of the title of Prinz for the monarch's title of Fürst occurred, and became customary for cadets in all German dynasties except in the grand duchies of Mecklenburg and Oldenburg. Both Prinz and Fürst are translated into English as "prince", but they reflect not only different but mutually exclusive concepts. 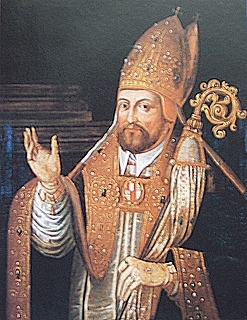 The post-medieval rank of gefürsteter Graf (princely count) embraced but elevated the German equivalent of the intermediate French, English and Spanish nobles. In the Holy Roman Empire, these nobles rose to dynastic status by preserving from the Imperial crown ( de jure after the Peace of Westphalia in 1648) the exercise of such sovereign prerogatives as the minting of money; the muster of military troops and the right to wage war and contract treaties; local judicial authority and constabular enforcement; and the habit of inter-marrying with sovereign dynasties. By the 19th century, cadets of a Fürst would become known as Prinzen. Foreign-language titles such as Italian principe, French prince, German Fürst and Prinz (non-reigning descendants of a reigning monarch),   Russian knyaz , etc., are usually translated as "prince" in English. In some dynasties, a specific style other than prince has become customary for dynasts, such as fils de France in the House of Capet, and Infante . Infante was borne by children of the monarch other than the heir apparent in all of the Iberian monarchies. Some monarchies used a specific princely title for their heirs, such as Prince of Asturias in Spain and Prince of Brazil in Portugal. Other princes derive their title not from dynastic membership as such, but from inheritance of a title named for a specific and historical territory. The family's possession of prerogatives or properties in that territory might be long past. Such were most of the "princedoms" of France's ancien régime , so resented for their pretentiousness in the memoirs of Saint-Simon. These included the princedoms of Arches-Charleville, Boisbelle-Henrichemont, Chalais, Château-Regnault, Guéménée, Martigues, Mercœur, Sedan, Talmond, Tingrey, and the "kingship" of Yvetot,  among others. Coat of arms of the principality of Andorra (1607). Coat of arms of the principality of Liechtenstein (1719). Emblem of the prince-bishopric of Rome. Though these offices may not be reserved legally for members of the ruling dynasty, in some traditions they are filled by dynasts, a fact which may be reflected in the style of the office, e.g. "prince-president" for Napoleon III as French head of state but not yet emperor, or "prince-lieutenant" in Luxembourg, repeatedly filled by the crown prince before the grand duke's abdication, or in form of consortium imperii . Coat of arms of Otto, prince of Bismarck (German Empire). Coat of arms of the princes of Waterloo (the Netherlands). In the Russian system, knyaz , translated as "prince", is the highest degree of official nobility. Members of older dynasties, whose realms were eventually annexed to the Russian Empire, were also accorded the title of knyaz — sometimes after first being allowed to use the higher title of tsarevich (e.g. the Princes Gruzinsky and Sibirsky). The many surviving branches of the Rurik dynasty used the knyaz title before and after they yielded sovereignty to their kinsmen, the Grand Princes of Muscovy, who became Tsars and, under the House of Romanov, Emperors of Russia. Arabian tradition since the caliphate – in several monarchies it remains customary to use the title Sheikh (in itself below princely rank) for all members of the royal family. In families (often reigning dynasties) which claim descent from Muhammad, this is expressed in either of a number of titles (supposing different exact relations): sayid, sharif; these are retained even when too remote from any line of succession to be a member of any dynasty. Persia (Iran) – Princes as members of a royal family, are referred to by the title Shahzadeh, meaning "descendant of the king". Since the word zadeh could refer to either a male or female descendant, Shahzadeh had the parallel meaning of "princess" as well. Princes can also be sons of provincial kings (Khan) and the title referring to them would be the title of Khanzadeh. Princes as people who got a title from the King are called "Mirza", diminutive of "Amir Zadeh" (King's Son). In Indian Muslim dynasties, the most common titles were Mirza (from Amirzada) and Shahzada ; while Nawabzada and Sahibzada were also given to younger blood princes. In ancient China, the title of prince developed from being the highest title of nobility (synonymous with duke) in the Zhou Dynasty, to five grades of princes (not counting the sons and grandsons of the emperor) by the time of the fall of the Qing Dynasty.The Chinese word for prince Wang (王, literally, King) as Chinese believe the emperor Huang Di (皇帝) is the ruler of all kings. The most accurate translations of the English word "prince" are Huang Zi (皇子, lit. Son of the Emperor) or Wang Zi (王子, lit. Son of the King). In Japan, the title Kōshaku (公爵) was used as the highest title of Kazoku (華族 Japanese modern nobility) before the present constitution. Kōshaku, however, is more commonly translated as "Duke" to avoid confusion with the following royal ranks in the Imperial Household: Shinnō (親王 literally, Prince of the Blood); Naishinnō (内親王 lit., Princess of the Blood in her own right); and Shinnōhi親王妃 lit., Princess Consort); or Ō (王 lit., Prince); Jyo-Ō (女王 lit., Princess (in her own right)); and Ōhi (王妃 lit., Princess Consort). The former is the higher title of a male member of the Imperial family while the latter is the lower. In Joseon Dynasty, the title "Prince" was used for the king's male-line descendant. Prince translated generally into three divisions. The king's legitimate son used title daegun (대군, 大君, literally Grand Prince). A son born of a concubine and king's great-great-grand son used title gun (군, 君, lit. Prince). But the title of gun wasn't limited to royal family. Instead, it was often granted as an honorary and non-hereditory title. Presently, as noble titles are no more granted or even recognized by the people, the English word "Prince" is usually translated as wangja (왕자, 王子, lit. king's son), only rendering the usage in foreign royal families. Princes and principalities in continental Europe are almost always confused with dukes and duchies, both being translated as gong (공, 公, lit. duke) and gongguk (공국, 公國, lit. duchy). In Thailand (formerly Siam), the title of Prince was divided into three classes depending on the rank of their mothers. Those who were born of a king and had a royal mother (a queen or princess consort) are titled Chaofa Chai (Thai : เจ้าฟ้าชาย: literally, "Male Celestial Lord"). Those born of a king and a commoner, or children of Chaofas, are tilted Phra Ong Chao (พระองค์เจ้า). The children of Phra Ong Chaos are titled Mom Chao (หม่อมเจ้า), abbreviated as M.C. (or ม.จ.). A Western model was sometimes copied by emancipated colonial regimes (e.g. Bokassa I's short-lived Central-African Empire in Napoleonic fashion). Otherwise, most of the styles for members of ruling families do not lend themselves well to English translation. Nonetheless, in general the princely style has gradually replaced the colonialist title of "chief", which does not particularly connote dynastic rank to Westerners, e.g. Swazi Royal Family and Zulu Royal Family. Nominally ministerial chiefly titles, such as the Yoruba Oloye and the Zulu InDuna , still exist as distinct titles in kingdoms all over Africa. 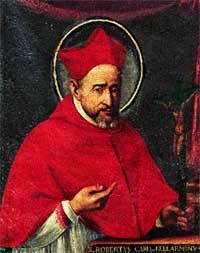 Saint Robert Cardinal Bellarmine was a prince of the Roman Catholic Church during his lifetime. Also in Christianity, Jesus Christ is sometimes referred to as the Prince of Peace. Other titles for Jesus Christ are Prince of Princes,  Prince of the Covenant,  Prince of Life,  and Prince of the Kings of the Earth. Further, Satan is popularly titled the Prince of Darkness;  and in the Christian faith he is also referred to as the Prince of this World    and the Prince of the Power of the Air. Another title for Satan, not as common today but apparently so in approximately 30 A.D. by the Pharisees of the day, was the title Prince of the Devils. Prince of Israel, Prince of the Angels, and Prince of Light are titles given to the Archangel Michael. [ citation needed ] Some Christian churches also believe that since all Christians, like Jesus Christ, are children of God, then they too are princes and princesses of Heaven. Saint Peter, a disciple of Jesus, is also known as the Prince of the Apostles. The title grand prince or great prince ranked in honour below king and emperor and above a sovereign prince. It also ranked below an Archduke, although this is debatable. His/Her Serene Highness is a style used today by the reigning families of Liechtenstein, Monaco, and Thailand. Until 1918, it was also associated with the princely titles of members of some German ruling and mediatised dynasties and with a few princely but non-ruling families. It was also the form of address used for cadet members of the dynasties of France, Italy, Russia and Ernestine Saxony, under their monarchies. Additionally, the treatment was granted for some, but not all, princely yet non-reigning families of Bohemia, Hungary, Italy, Poland, Romania and Russia by emperors or popes. In a handful of rare cases, it was employed by non-royal rulers in viceregal or even republican contexts. Infante, also anglicised as Infant or translated as Prince, is the title and rank given in the Iberian kingdoms of Spain and Portugal to the sons and daughters (infantas) of the king, regardless of age, sometimes with the exception of the [male] heir apparent to the throne who usually bears a unique princely or ducal title. The wife of a male infante was accorded the title of infanta if the marriage was dynastically approved, although since 1987 this is no longer automatically the case in Spain. Husbands of born infantas did not obtain the title of infante through marriage, although occasionally elevated to that title de gracia at the sovereign's command. Highness is a formal style used to address or refer to certain members of a reigning or formerly reigning dynasty. It is typically used with a possessive adjective: "His Highness", "Her Highness" (HH), "Their Highnesses", etc. Although often combined with other adjectives of honour indicating rank, such as "Imperial", "Royal" or "Serene", it may be used alone. Prince étranger was a high, though somewhat ambiguous, rank at the French royal court of the ancien régime. ↑ "Fürst - Origins and cognates of the title", 2006, webpage: EFest-Frst Archived 2011-08-28 at the Wayback Machine . ↑ Almanach de Gotha (Gotha: Justus Perthes, 1944), pages 14–131. ↑ Père Anselme (1728). "Ducs de Bouillon". Histoire Genealogique et Chronologique de la Maison Royale de France (in French). Paris: Compagnie des Libraires. pp. 543, 545. ↑ Duden; Definition of the German title Fürst (in German). ↑ Duden; Definition of the German title Prinz (in German). ↑ Velde, Francois. "The Rank/Title of Prince in France" . Retrieved 30 December 2016. ↑ This is a title for Jesus Christ (among others) given in Isaiah 9:6. ↑ A title for Jesus Christ given in Daniel 8:25. ↑ A title for Jesus Christ given in Daniel 11:22. ↑ A title for Jesus Christ given in Acts 3:15. ↑ A title for Jesus Christ given in Revelation 1:5. ↑ Milton, John (1667). Paradise Lost (1st ed.). London: Samuel Simmons. ↑ A title for Satan given in John 12:31. ↑ A title for Satan given in John 14:30. ↑ A title for Satan given in John 16:11. ↑ A title for Satan given in Ephesians 2:2. ↑ A title for Satan given in Matthew 9:34. ↑ A title for Satan given in Matthew 12:24. ↑ A title for Satan given in Mark 3:22.